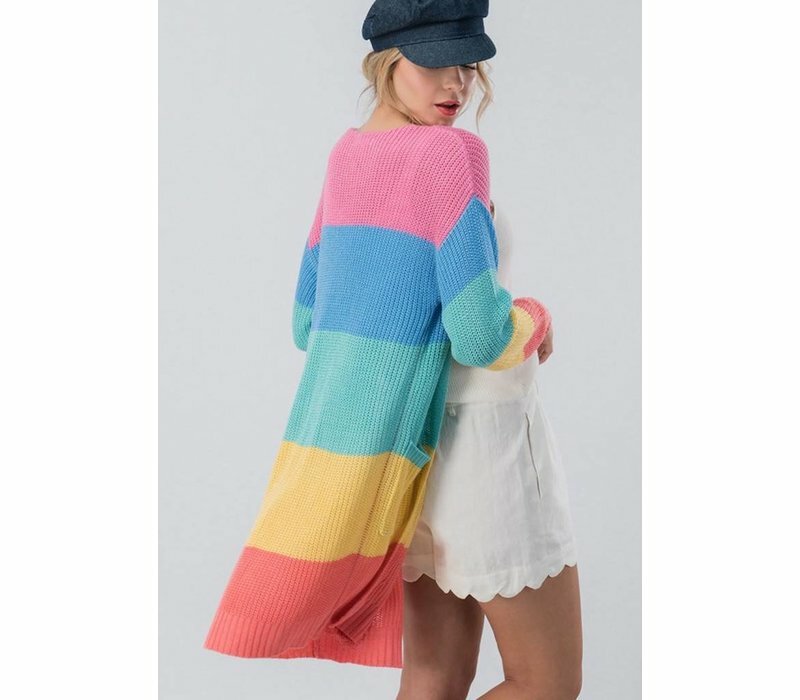 Light weight sweater cardigan featuring front pockets and the prettiest, colorblocked stripes in our favorite spring shades of rainbow. Perfect for even summer nights. 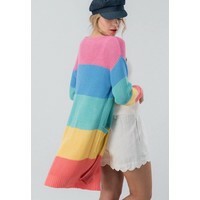 Pair with denim shorts & a simple white tee! 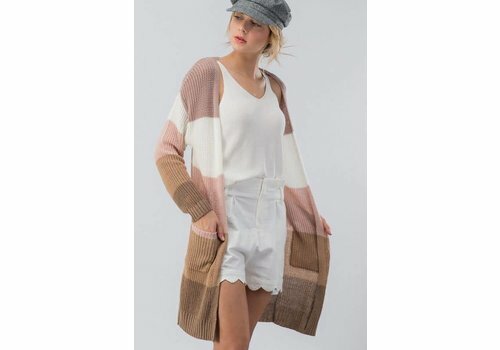 Light weight, knit sweater cardigan. Colorblocked with yummy shades of pink, ivory & mocha. Front pockets.